Are you looking for a shed to store your lawn and garden equipment, tools, and other supplies? Lean-to buildings are a great solution for all your outdoor storage needs! 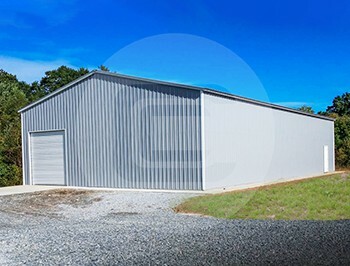 Lean-to metal storage buildings are perfect for putting up next to an existing building, and can often be made to look like a natural extension of your building. The single slope roof allows rain and snow to slide off to one side very efficiently. Adding a lean-to is a smart way to help protect your trucks, cars, campers, other vehicles, and farm equipment from the elements. 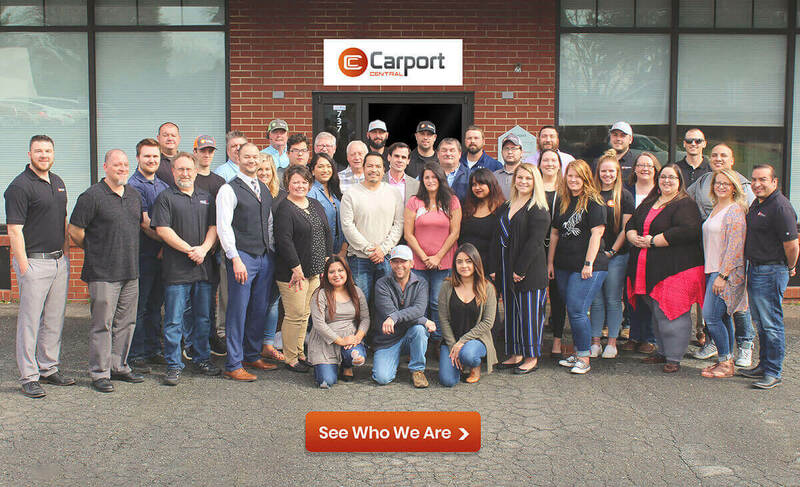 Carport Central can also custom-build many varieties of stand-alone lean-to combination buildings to suit your needs as well, whether you need a quality steel carport, garage, barn, RV cover, workshop, or other custom metal structure. This vertical roof building measures 30’W x 3-6’L x 14’H. The main section is 18′ x 36′ x 14′, with a 12′ x 14′ garage door frame-out and separate walk-in door, and the attached lean-to has dimensions of 12’ x 36’ x 11’, with one 10’ x10’ garage door included. The total price for this 30’×36’ enclosed garage is $13,898.40 (plus local tax), and it includes FREE delivery and installation services. You can order this lean-to building today with a deposit of just $2,223! You can also custom design your very own building with assistance from one of our building specialists, or you can go online and design it yourself with our 3D Designer tool. Please note that we do not offer concrete or groundwork preparation; your surface must also be level before we can perform your install. 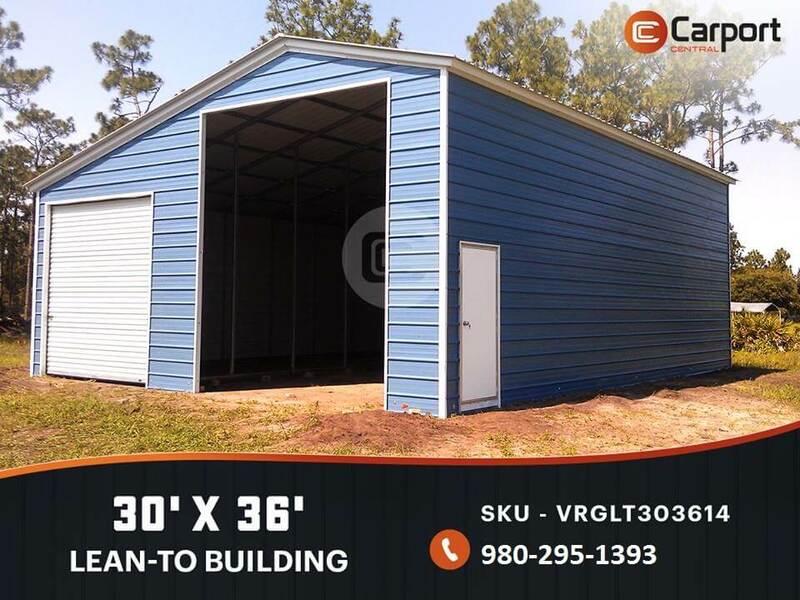 For more information about this featured building, you can visit https://www.carportcentral.com/30×36-lean-to-building, or just give us a call at (980) 295-1393 and mention SKU: VRGLT303614 to get a custom quote. You can also check out this building on Facebook at https://goo.gl/mmwQbq While you’re there, also be sure to like our FB page so you can stay up-to-date with all our new buildings and additions!